Canada has the highest rate of multiple sclerosis (MS) in the world, with an estimated 100,000 Canadians living with the disease. While it is most often diagnosed in young adults aged 15 to 40, younger children and older adults are also diagnosed with the disease. 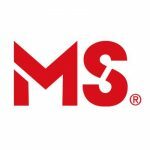 MS is currently classified as an autoimmune disease of the central nervous system (brain, spinal cord, and optic nerves). The disease attacks myelin, the protective covering of the nerves, causing inflammation and often damaging the myelin. Myelin is necessary for the transmission of nerve impulses through nerve fibres. If damage to myelin is slight, nerve impulses travel with minor interruptions; however, if damage is substantial and if scar tissue replaces the myelin, nerve impulses may be completely disrupted, and the nerve fibres themselves can be damaged.